*Updated for Pets/Patch. 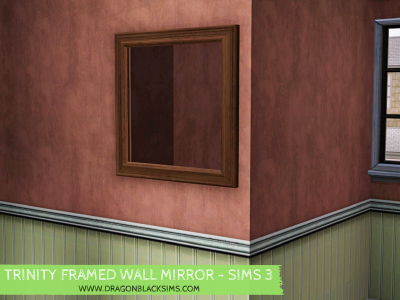 This was a set I originally did for the Sims 2 many moons ago, however, I decided to update them and release it for the Sims 3. 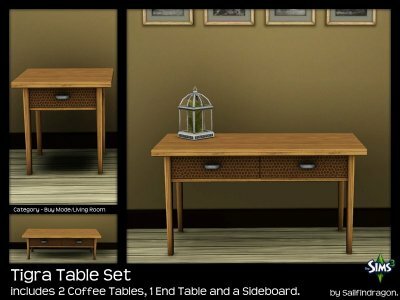 The set includes an End Table, 1 x 1 Coffee Table, 2 x 1 Coffee Table and a Sideboard. The sideboard can be found under coffee tables or miscellaneous surfaces and contains 13 slots. Hope you enjoy using these. Each item has 3 recolorable channels. I have only included the package files within the zip. 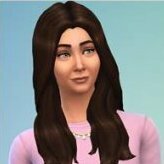 If you require the sims3pack files, I can provide these if required. *Updated for Pets/Patch. 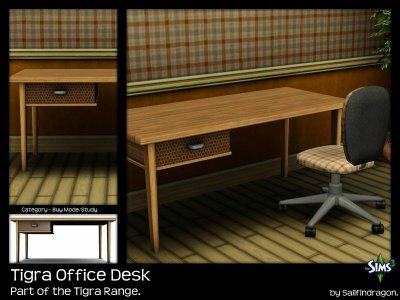 This is the Tigra Office Desk. It has three recolorable channels and includes 3 color variations that match the Tigra Table Set and the Tigra Dining Table. Updated for Patch/Pets - Game tested. 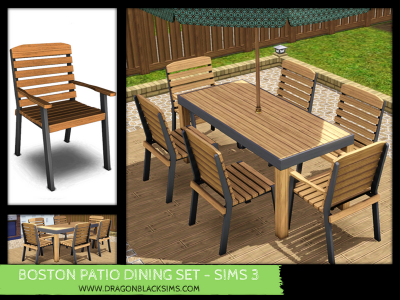 The Boston Patio Dining Set consists of a 2 x 1 table, a 1 x 1 table, dining chair both with and without arm-rests. 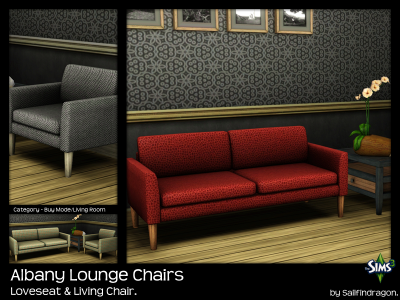 Both chairs have 2 recolorable channels and the tables have 3 recolorable channels. There is 3 presets included with the set. The parasol pictured in the screenshot is from World Adventures. Hope you enjoy it. Happy Simming. 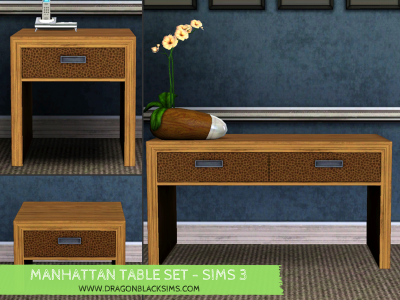 This is the Manhattan Table Set. 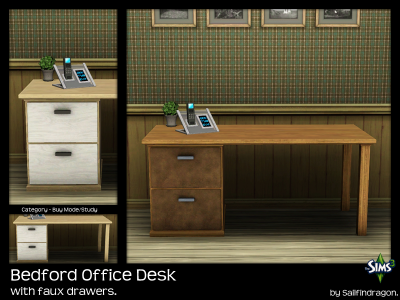 It has a modern feel with drawers and metal drawer handles. The set consists of a Coffee Table, 1x1 Coffee Table, End Table, and Sideboard. Each item has 3 recolorable channels. The sideboard can be found under coffee tables or miscellaneous surfaces and contains 13 slots. Hope you enjoy using these. Updated for the patch and tested.